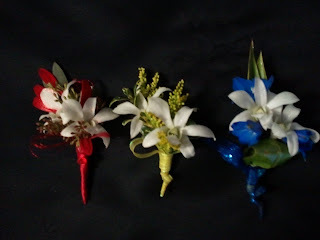 Prom Flowers: Color - Finding the Perfect Combination! "What color is your dress?" This dictates the direction of the conversation and questions that will follow. colors are difficult to match. Look for complimentary colors to your dress. 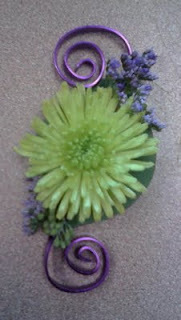 Shades of your color are a great way to go and give more dimension and texture to your corsage. It's also important to remember that multi-color corsages compliment a solid color dress beautifully, while corsages in all one color (monochromatic) are best with the beautiful print dresses so popular this year. I find that when a customer has a dress that doesn't have a rose color that matches perfectly, the customer always falls back to that faithful white rose. 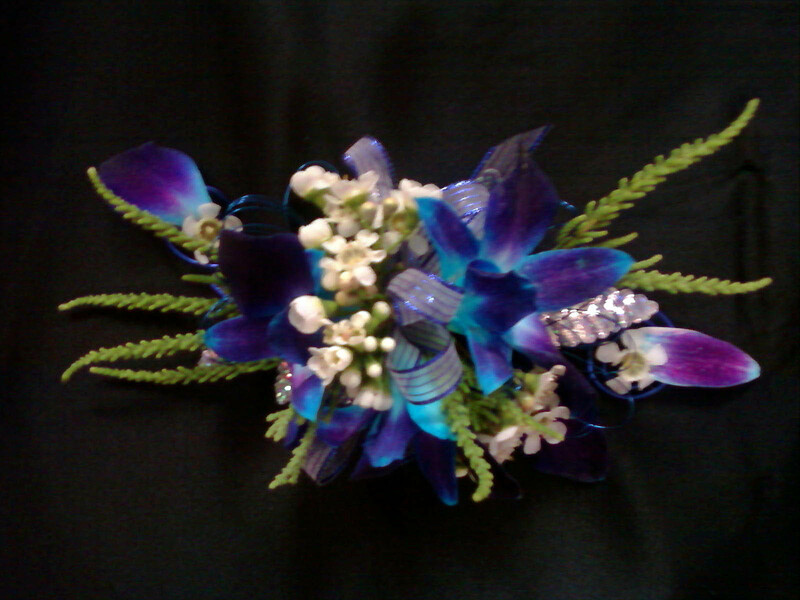 There are many other great flowers that can be used in corsages. 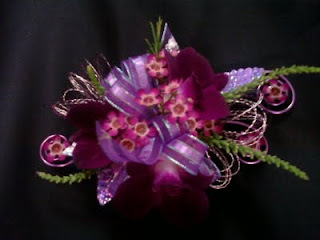 Take a look at orchids, freesia, mini-gerberas, and gladiolus blooms, all come in a wide range of colors. for the new flower varieties and corsage accessories on the market and keeping up with the latest trends. If you give your florist enough notice they can even customize a wrist band and flowers to match your dress perfectly. 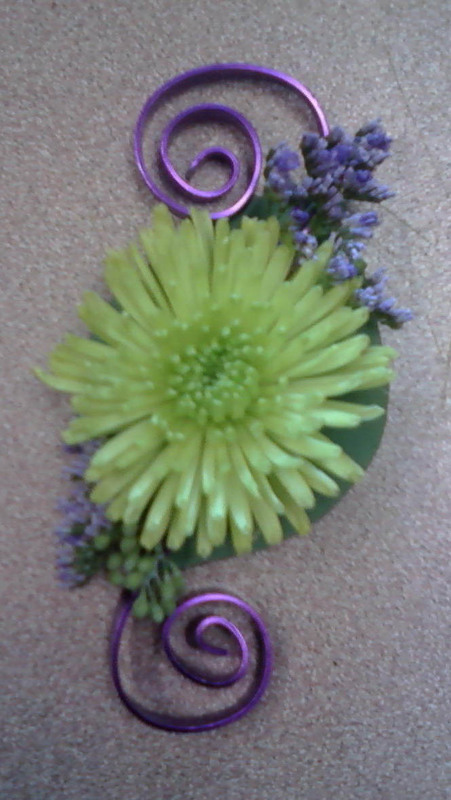 Let's have some fun coordinating your floral jewelry to your beautiful dress! 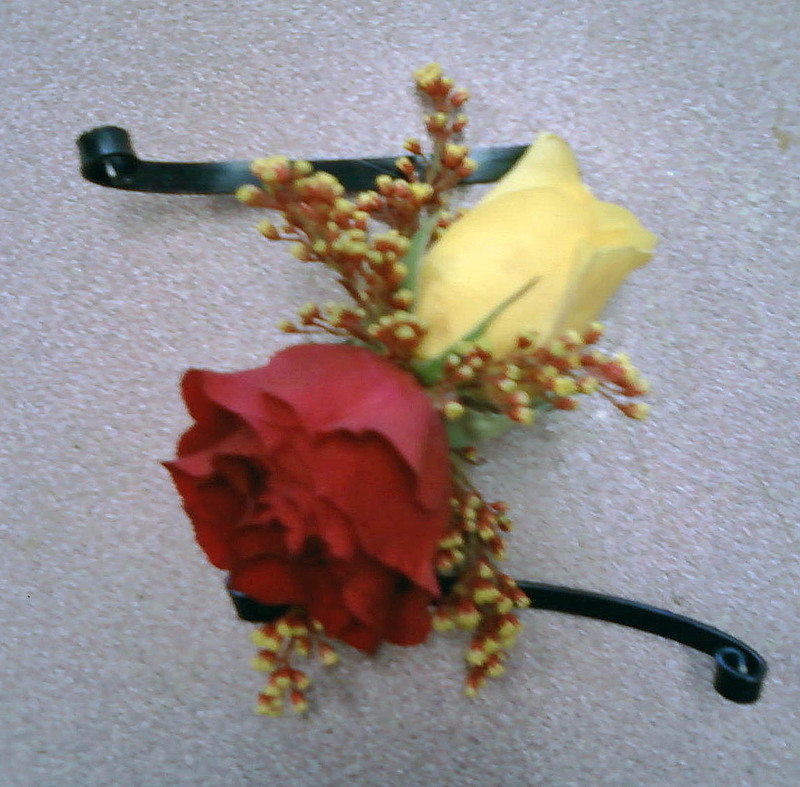 Remember, your florist is here to help you with perfect color selections! Let's set some trends ladies! Thanks to Rachelle for this great post on color! wow, perfect combination. I like it. Thanks for sharing. you're welcome! we will be doing a lot more posting in the coming weeks. what's the top prom dress at Cynthia Prom?